January 22, 2009 - by k9hi - 2 Comments. 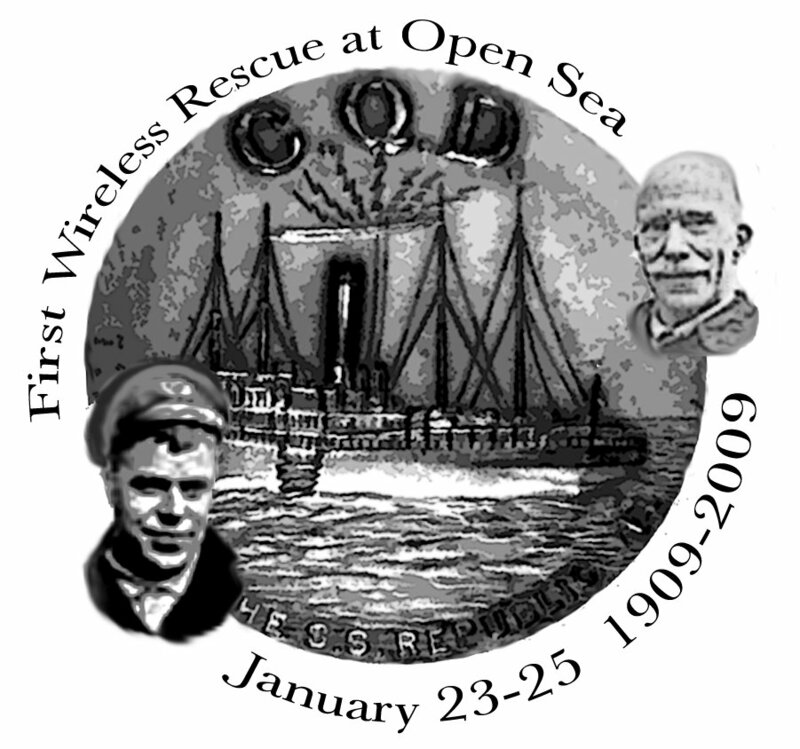 The Marconi Radio Club (W1AA) will take part in the Jack Binns special event commemorating the first wireless rescue at sea one hundred years ago, with two stations, representing the SS Republic (call sign MKC): W1AA/MKC; and the SS Baltic (call sign BC): W1AA/BC. These stations will operate on the amateur bands on January 23, 2009 from 0001Z to 0400Z and on Jan 24, 2009 from 1200Z to 2000Z. using both SSB and CW. Watch the DX Summit for W1AA/MKC and W1AA/BC spots. Special one-of-a-kind photo QSL cards have been created for each call for the event. QSL card information for stateside is via W1AA on QRZ.COM with an S.A.S.E. Business sized envelope is okay for QSL cards. DX QSLs are via the W1 Bureau. A certificate is available. Mixed modes are OK. If stateside stations work both the W1AA/MKC and W1AA/BC stations and wish a certificate, please send a large 8 1/2 x 11 inch envelope with $1.50 in stamps on the envelope for stateside return only. Certificates for DX stations via W1AA DIRECT via QRZ.COM address with a large envelope 8 1/2 x 11 inch envelope and sufficient USA postage for 2 oz. of mail to return to their country. This will be a great event. Please take the time to tune the bands and work us. Operators will be Henry K1WCC, Tom K1TH, and Whitey K1VV. The Cape Cod Times carried >a story on the KM1CC operation at the former Coast Guard Station in Eastham. Check it out!